Comfort for my home - Since 1874. More than 140 years have passed since Johann Vaillant founded his master-craftsman installation business in a small half-timbered house in Remscheid/Germany. What began in 1874 is now a company with more than 12,000 employees and a globally leading provider of sustainable and responsible system solutions and services for heating cooling and hot water. We are located all over the world. Click here to find your country. Vaillant has a history of more than 140 years. Get to know our technologies here. 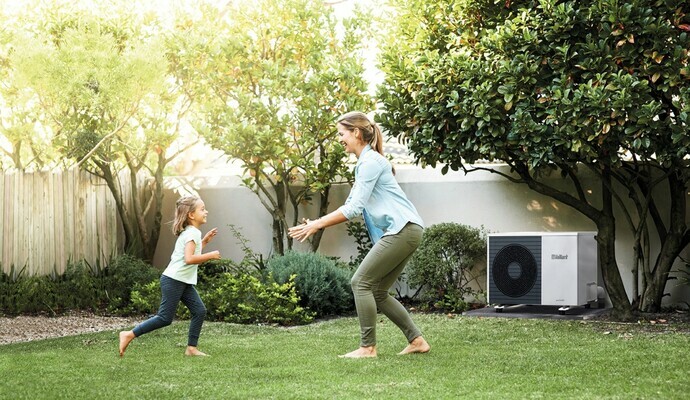 The aroTHERM Split is a heat pump which offers fantastic value for money for single-family houses and semi-detached homes. It uses the heat stored in the air as a free source of energy and consists of two components - the heat pump which is set up outside and the indoor unit.